A lush garden, patch of blue sky or gentle breeze from the great outdoors can add that extra special zing of vitality to your kitchen. Bringing the outdoors inside will also calm the nerves, create a sense of spaciousness and let in loads of extra light. So how can you invite all that into your kitchen without interrupting its busy, functional role? The answer often lies in rethinking the access points to the external world. Simply replacing older doors, setting up bi-fold or sliding glass doors can completely transform your relationship with your garden. If you aren't so fortunate to have a garden, there are plenty of other tricks you can employ to bring the outdoors inside. 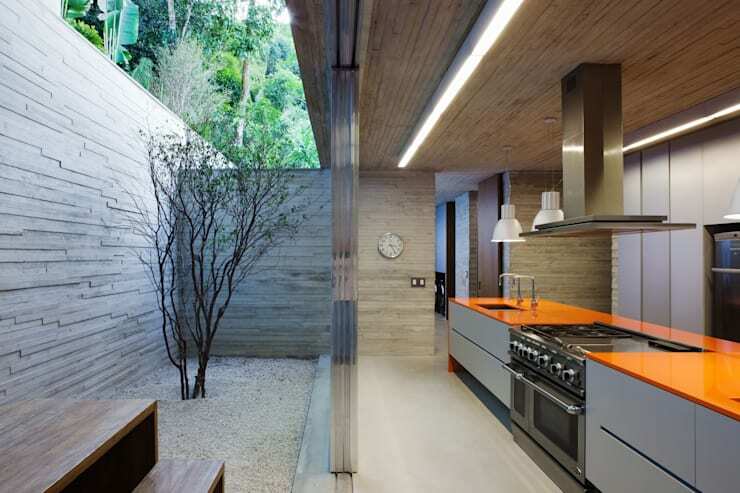 For more inspiration, check out these stunning kitchen designs. 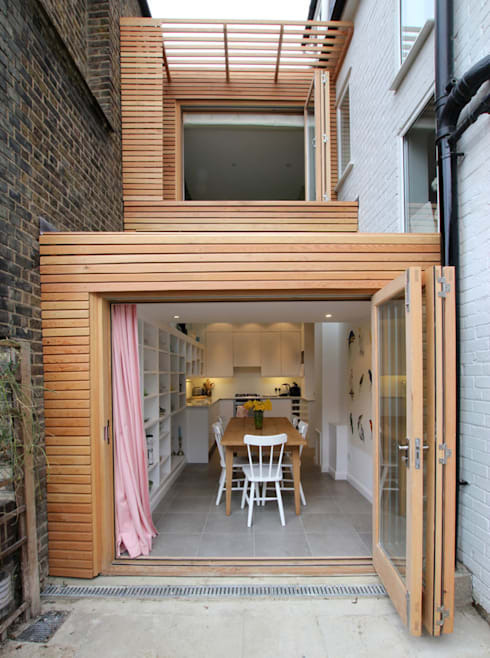 Pocket doors offer an impressive aperture to your outdoor areas. The glass panels slide into pockets in the walls, creating a completely open space between your kitchen and the outdoor area. It's basically like a disappearing wall. Each pane of glass has its own track in the floor, so the walls need to be quite thick and these doors are best installed during the construction phase of your home or as part of a large rebuilding project. 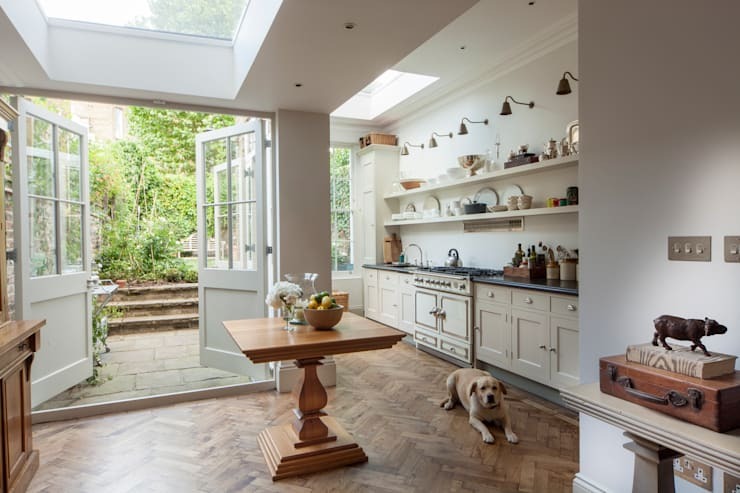 Large patio doors invite the outside into the kitchen in a very practical way. They maximise the available light, require a minimal amount of window framing and provide vast expanses of clear glass that really make your garden become a living part of the indoor decor. Plus, if you've got a beautiful tree view like this, why not let nature do the decorating for you! French doors are a pretty traditional addition to any kitchen and offer an old world charm. They work particularly well with rustic designs and kitchens with lots of timber finishes. The only possible issue is that they traditionally have more timber panelling than modern doors, this can obstruct from the views outside when the doors are closed. But for warmer climates, this isn't really an issue. Bifolding doors are a popular option. When the panels are completed folded back, the wall almost disappears, leaving an unimpeded flow between indoor and outdoor areas. 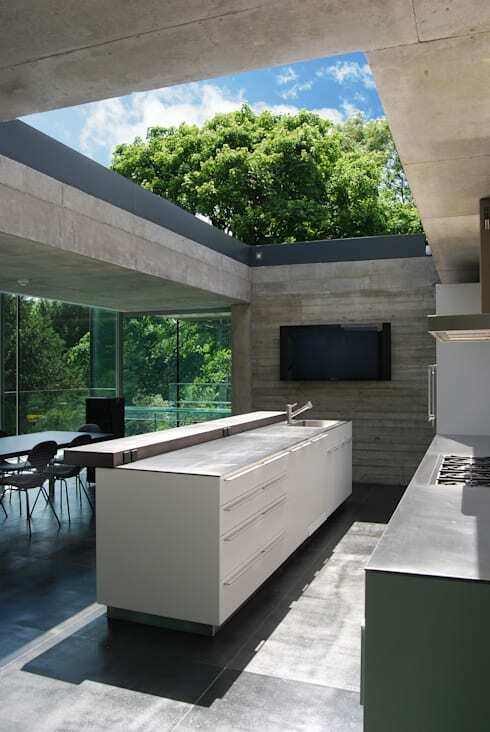 It's great for outdoor entertaining and is very much in tune with today's trend towards open plan living. 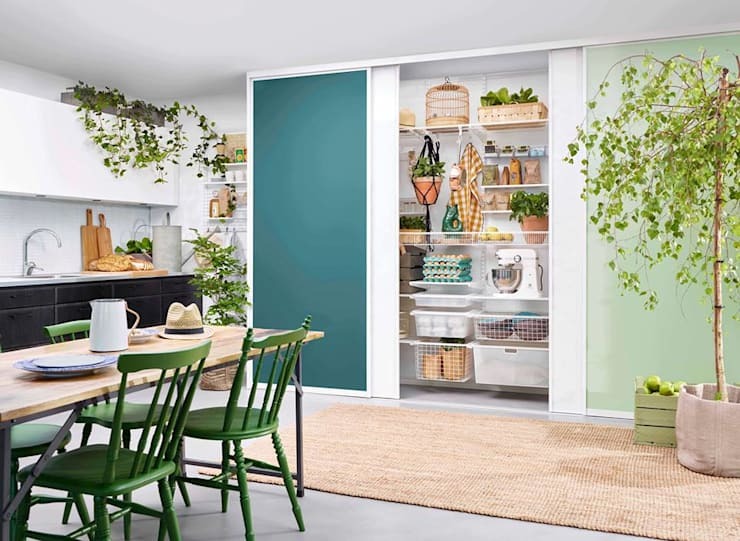 This kitchen by Eldridge London is sure to make you green with envy. 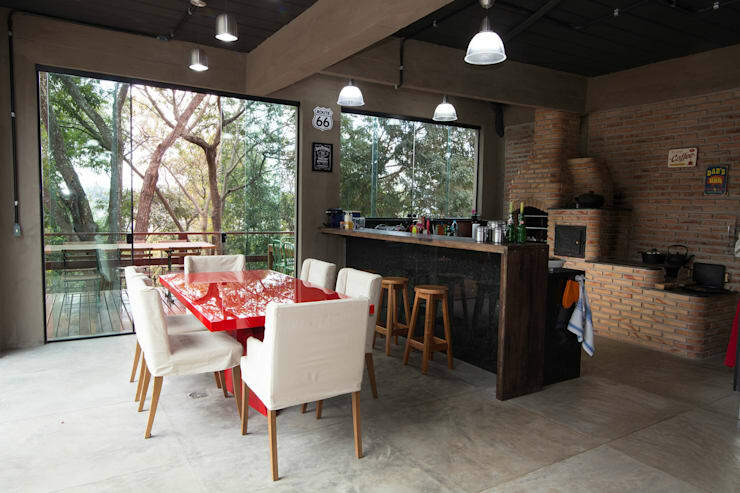 This sliding glass roof-light adds a whole other level to your indoor ambience. It's a sleek, piece of glass designed for a flat roof construction. It's low key and invites an amazing amount of sunlight into the kitchen. Of course, it's particularly lovely when the surrounding area has lots of natural vegetation. Last but not least, if you don't have easy access to a garden, don't forget that you can always bring the garden inside! Herb gardens are a wonderful addition to the kitchen and there are numerous options available for small planters on kitchen windowsills or countertops. Hanging ferns and other hardy indoor plants will also do well in a kitchen with adequate sunlight. To really green up the look, add some verdant green paint to your seating and wall panels for this kind of effect. Which one of these green kitchens is your favourite? We'd love to hear in the comments below!